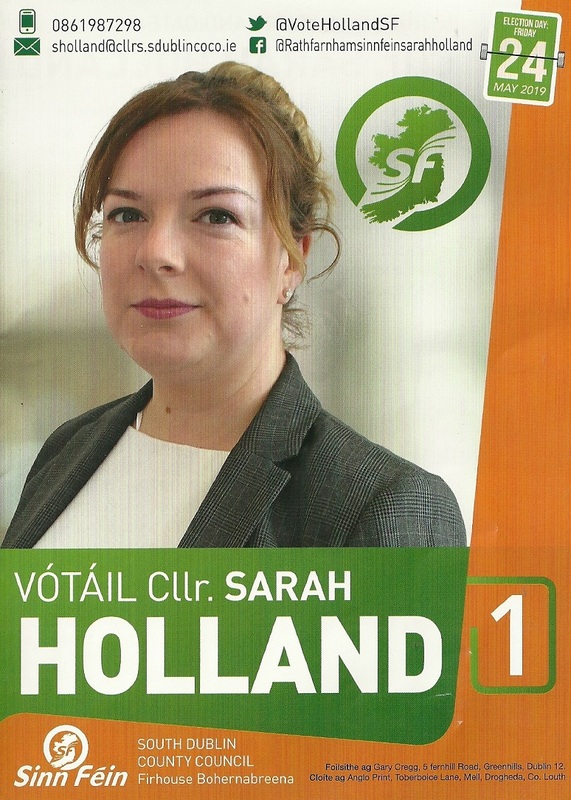 A Leaflet from Sandra Ruiz of The Social Democrats who is running in Tallaght Central for a seat on South Dublin County Council. A flyer introducing Councillor Conor McMahon of Fine Gael to voters having being Co-opted to South Dublin County Council for the Rathfarnham LEA. 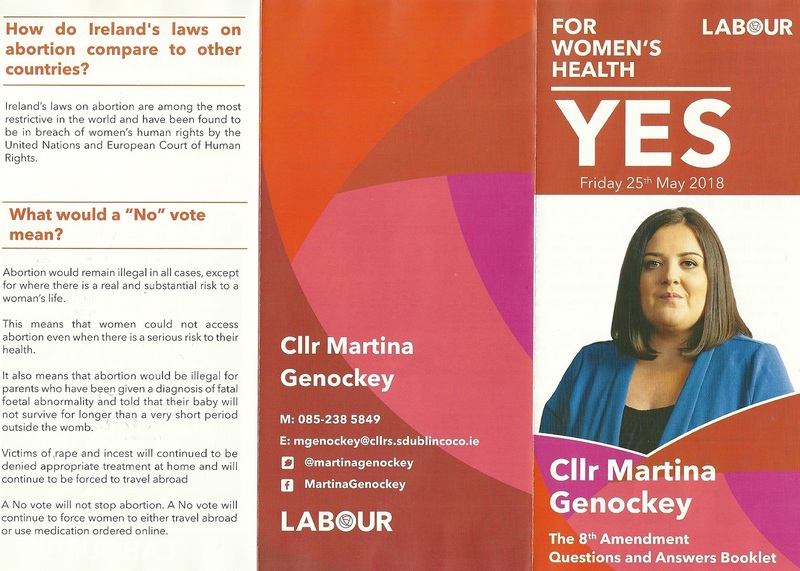 From the forthcoming Referendum on Repealing the 8th Amendment, a “For Women’s Health- Vote Yes” leaflet from Martina Genockey of Labour in Dublin South West. 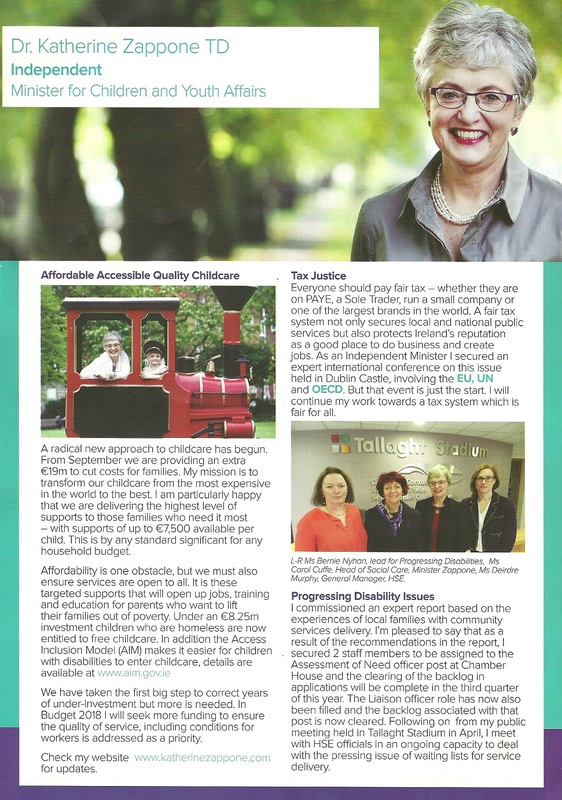 November 2017 Newsletter from Independent TD and Minister Katherine Zappone in Dublin South West. “The Fenian” Newsletter of Sinn Fein Dublin South West – Summer 2017 edition. 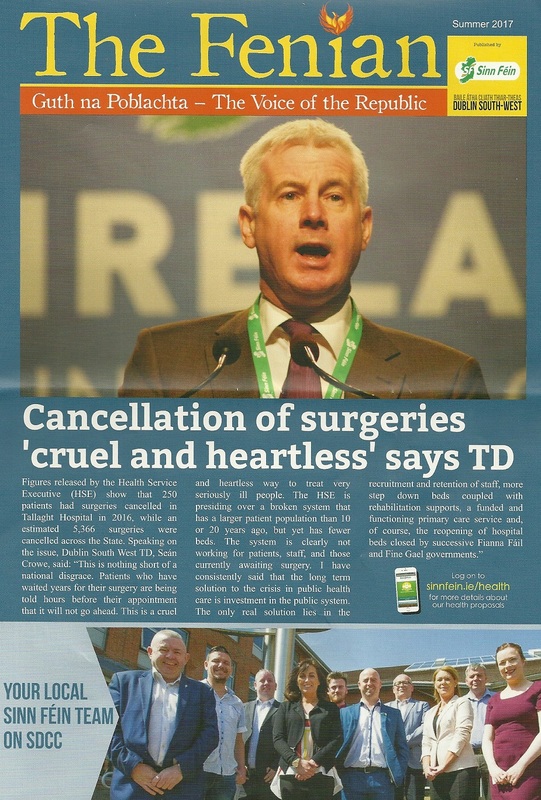 News from Cllr Enda Fanning and Cllr Sarah Holland as well as MEP Lynn Boylan and Dublin South West TD Sean Crow. A Leaflet From Peter Leonard who is The Labour Party Rathfarnham Local Area Representative.